But the thing to keep in mind is sometimes things go wrong if your blood sugars aren’t kept in check over the long haul. I was in a doctor’s office the other day and overheard a conversation a doctor was having with his patient. The lady said that she had been struggling to control her blood sugar. She described her issue with the doctor and she was suffering from diabetic neuropathy. 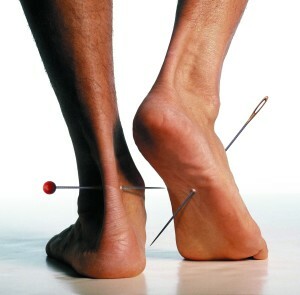 Diabetic neuropathy (diabetic nerve damage) is one of the warning signs of diabetes. Well, diabetic neuropathy is when diabetes can hurt. Studies have shown that 50%-80% of diabetics will develop nerve damage with about 40% having PAINFUL neuropathy, unless preventive measures are taken to control it. Nutrition has also been shown to help improve it. Neurologists have found that when you keep your blood sugar higher than 140 for 2 hours or more, damage to small nerves starts to happen. But when you have blood sugars of over 200 for 2 hours or more, you start to damage the larger nerve fibers. But the best thing is keeping your blood sugar below that 140 threshold. This is all the more reason to tightly control diabetes. So diabetes doesn’t hurt. And the good news is, if you keep your blood sugar under control, you can improve this and allow nerves to heal.